I thought you might be interested to see the latest Edible Archaeology contribution from Birmingham Museums [following their stunning Staffordshire Hoard cake, featured in CA 290]. It was made to honour Sam Moorhead’s visit to train the West Midlands Portable Antiquities Scheme Volunteers in identifying and recording Roman coins. 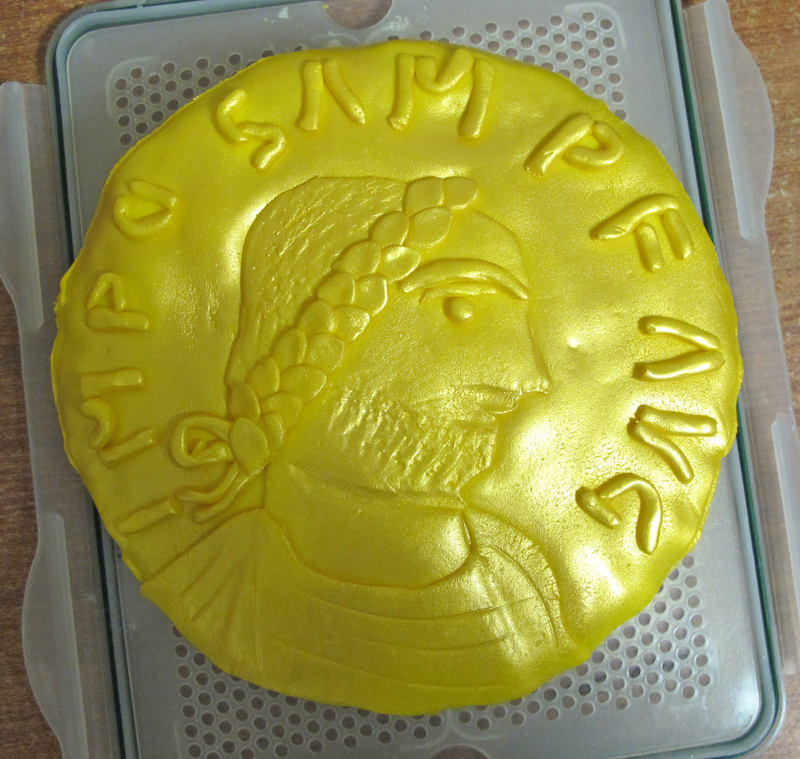 As Sam is particularly interested in the coins of Carausius, the cake was based on an aureus of this emperor, minted in Rouen – although I changed the inscription to include Sam’s name. I think I did a good enough job, as he instantly recognised the bust as Carausius. The cake was Victoria sponge, topped with sugar-paste icing with gold lustre, and it did not last very long once we started on it. This edition of edible archaeology appeared in issue 295 of Current Archaeology.